The BDD Foundation needs funds to support the charity and provide help and information to people with BDD and their carers. Go to Virgin Money Giving and click Start Fundraising. Go to BT My Donate and click Start Fundraising. Share your page on Facebook – your friends can give without leaving Facebook if you use the Just Giving Facebook App. Take a look at the inspiring work our Fundraisers are doing. Please keep supporting them and us generously. We are humbled by Lisa & Tracy’s tremendous fundraising efforts to not only raise funds but also awareness for BDD. Thank you so much! Please support them & us in any way you can. Thank you for sponsoring our walk. We are raising money for the Body Dysmorphic Disorder Foundation. 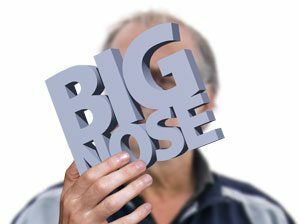 Body Dysmorphia has become a very common mental illness which affects people of any age. It is particularly prevalent among boys and girls as they cope with the pressures of modern life. This is a mental illness which is particularly close to us and we have first- hand knowledge of the wonderful work that this charity does. In late June 2017 I, Rob, will be setting off on a 5,000 mile cycling expedition that will cross 16 countries in Europe. It’s called ‘Europe’s Most Minimal Cycle Tour’ because I’m going to do it wearing the least amount of clothing possible, both on the bike, and at resting places along the route. 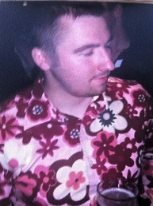 Over the years I’ve been very body conscious and dissatisfied with my appearance; looking back and reflecting on photographs at times I’ve been thin but at the time viewed myself through a different negative lens. 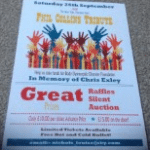 In memory of Chris Exley: Chris’s friends and family are organising various events including a bake sale, an amazing charity evening to raise money in his honour, eBay sales, and Chris’s brother is running the Cusworth 10k. They are an inspiration to us all. The charity fundraising evening event is being held at the New Tyke, Thornton Road, Bradford on Saturday 26th September. 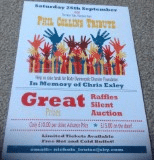 The evening will include a Phil Collins tribute, performed by Rob Lewis who won Stars in Their Eyes in 2005, hot and cold supper, a silent auction and raffles – all of which have some fantastic prizes!! Tickets and information are available from Louise Nicol on or by calling 07944 620279. Please kindly support Chris’s memory and the BDD Foundation. Visit Chris’s Virgin Money Giving Page. Read more about Chris, BDD, and the fundraising event in the Bradford Telegraph and Argus.